I don't know how I did not visit this place before last weekend. I have been sorely missing out in life. 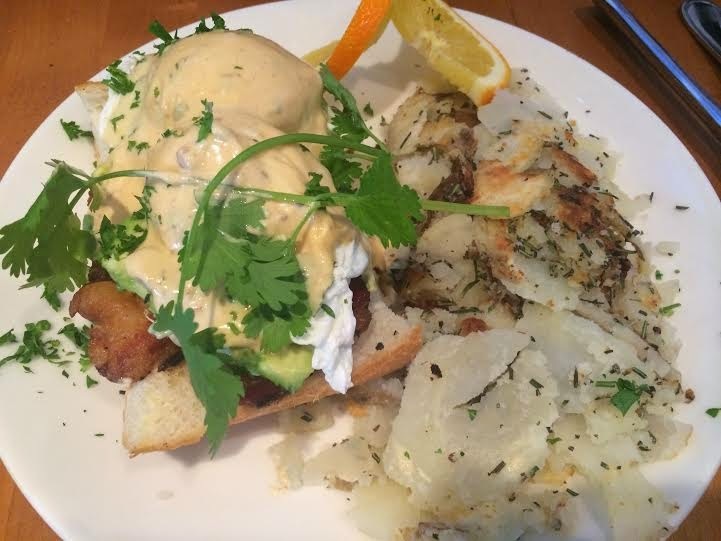 Plum's is probably the best brunch that Orange County has to offer. 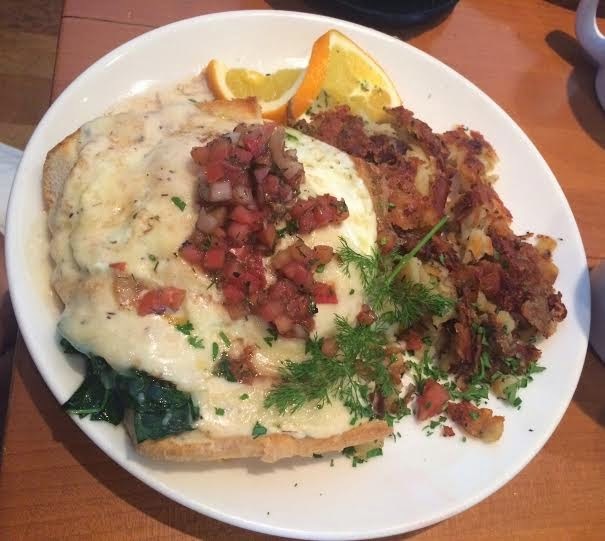 It has pancakes, bread pudding french toast, breakfast burritos and my fave - eggs benedict. Although it doesn't have the views of Beachcomber, Plum's Cafe has great food, a nice ambiance and the price isn't too bad. I ordered the eggs benedict, but you gotta do the server style. This means there is bacon and avocado instead of ham. It's pretty freaking legit. 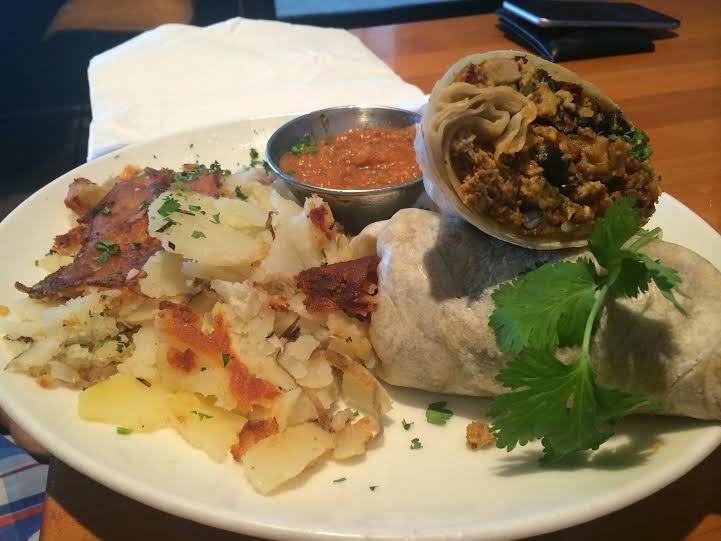 The next best thing is the breakfast burrito. As we all know, I pretty much order this at any place I try and so it was a must at Plums. Although I still love me some Rooster Cafe, this was a nice change of pace. 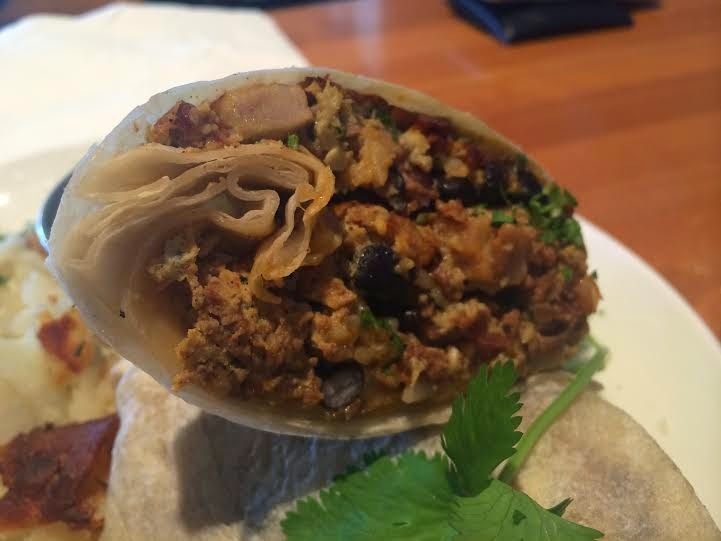 Chorizo, eggs, beans, avocado and a pretty good salsa, wrapped in a hot tortilla for a pretty sufficient portion. Also the breakfast potatoes (I never understand carbs with carbs) are really good. Nice and crispy, almost like hashbrowns. Come here with a group so you can get a variety of things to try. The pancakes are tasty, but honestly nothing special. I want to try the french toast (even though I hate french toast) bread pudding. I mean how can you say no to that? I highly recommend Plums, even though I don't want you to go there and make it more crowded. Let me know what your favorite dishes are and whether its worth a lunch post too!